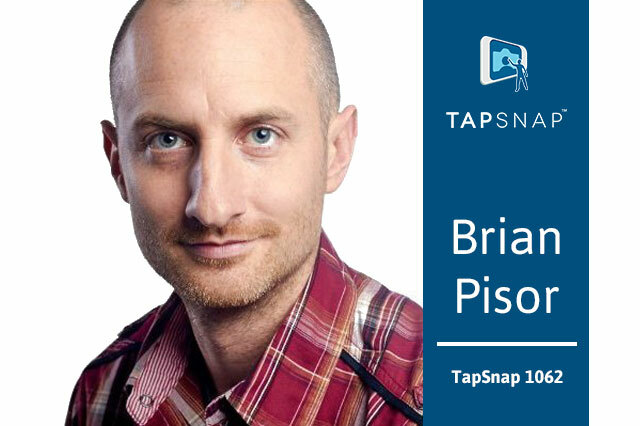 Brian is the franchise owner and operator of TapSnap 1062 which serves Greenville County in South Carolina. He plays a very active role in his community, and has also been featured on numerous news broadcasts including this WYFF News 4 feature. I was working a full-time job at the time, and realized I could start building my business on nights and weekends. Plus, I was relatively new to the city where I live and saw that this type of business would quickly connect me around town. Finally, it looked fun! Who doesn’t want to go to parties all the time? I had tried for 2 years to build an original business on the side, unsuccessfully. Getting more and more eager to start generating real money outside of the day job, I knew a franchise would accomplish that more quickly. I was a Business Solutions Director for a workforce management consulting firm. I was working 50+ hours per week with frequent overnight travel. I didn’t mind working hard, but decided that if I were going to do so, I’d rather do it for myself. Did you experience any challenges when opening your business? What were they and how did you overcome them? My main challenge was that I had no experience in the event services industry, and really didn’t have a good grasp on how to generate consistent, predictable revenue. I followed all the recommendations I learned in training, like throwing my launch party, learning how to talk about our capabilities, and selling the services. It took a while for it to solidify in my mind that the key to generating business in this industry is networking, relationships, and strategic partners. I eventually got involved in some key organizations in my area, which have catapulted my visibility among prospects and strategic partners. What do you like about owning your own franchise? With my franchise, I’ve been able to support people who suffer abuse and addiction, which is a cause that is important to me. We’ve been able to help several organizations in our area both financially and through our services. Just last week I had the opportunity to take marketing photos for a local women’s shelter that’s opening in our area. It feels great that my “for profit” business can give back and help solve real problems that plague our communities. What is your favorite kind of event to do? There’s an extravagant fundraising event each year in August where we get to take photos, eat unlimited food from the area’s best caterers, and dance to a 10-piece live band all night long. We bring our team and take turns attending the booth so everyone can have a good time. That’s my favorite one. For starters, I no longer have a boss! That was the driving force behind starting a business in the first place, so score one for me. Second and probably even more important, I’m evolving into a new level of business ownership. It’s no longer about the initial chaos of building something from the ground up, wondering where the next gig will come from. Now, it’s about putting controls around our processes, building a team, understanding our financials, and steering the organization toward our long-term vision. I would have sought out more advice from successful TapSnap franchisees or other successful business owners sooner. It’s better to learn from other peoples’ mistakes than make them on your own. I paid a little “stupid tax” for a while when I first started. Hands down, it’s the coolest, most impressive technology in this industry right now. People see it and immediately love it. Everyone loves a selfie, and when you combine that with huge touchscreen technology, instant social media posting, great quality photos, and branding capabilities, it sells itself. Throw a “launch party” and invite all the venue managers, event planners, marketing and PR firms, DJs, photographers, caterers, and event professionals in your area. Do it on a Wednesday, right after business hours, at a nice, convenient venue and offer hors d'oeuvres, beer, and wine. Invite a nearby experienced franchisee to come help you field questions and demonstrate your technology. Follow up with all attendees the next day and ask for meetings. Join your local Chamber of Commerce, get your “elevator pitch” together, put all the pertinent networking events on your calendar, and consistently go to them. Demonstrate TapSnap at your Chamber’s next member appreciation event. Make sure the Chamber’s staff knows what you do. Pretty soon, you’ll be getting repeat business at holiday parties and employee appreciation events with chamber members. Join your local NACE board of directors, or become a committee chair, offer a demo at the next meeting, and make sure everyone “sees” what you do (“seeing” is very different than “hearing about”). Go meet with your Top 5 competitors (seriously, do this), understand their position in the market, pricing, and goals. Find a way to help each other out. (Secret: you don’t have many REAL competitors since your technology is in a class all of its own). Become the person you want to be, smile a lot, and be seen as much as possible in your community and at events. Always be ready to explain what you do, there are opportunities for gigs almost everywhere you turn. Everyone wants to work with you; they just don’t know it yet. If you’re looking for a social media photo booth and photo marketing experiences in Greenville County, South Carolina, be sure to contact TapSnap 1062. Your photo entertainment experience will be in great hands with Brian! 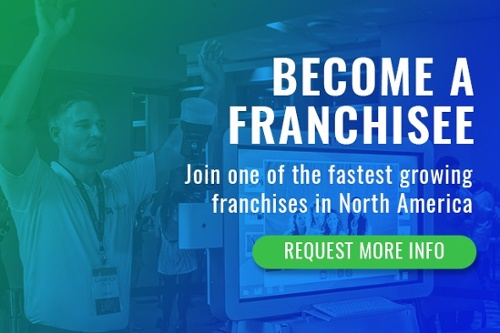 Planning on buying a franchise? Read on for some excellent advice for franchisees by Terrie Jewett-Mutchnik of TapSnap 1138! Keep reading for more tips on how to build a successful franchise business. We still have many franchise opportunities available. If you’d like to join the TapSnap team, give us a call at 1-877-577-0566 or contact us online!